Jesuit Father †Lawrence J. Madden (1933–2011) was the founder of the Georgetown Center for Liturgy in Washington, D.C.
Now in its fourth edition, Celebrating Marriage: Preparing the Roman Catholic Wedding Liturgy continues to be an invaluable resource for everyone involved in the Roman Catholic rite of matrimony. This latest edition reflects the Order of Celebrating Matrimony as promulgated by the United States Conference of Catholic Bishops in 2016, the first major revision since the English-language rite was promulgated in 1970. Practical and comprehensive, this step-by-step workbook is designed to assist engaged couples as they prepare the wedding liturgy. Chapters include information on the history of wedding traditions, the actual texts for the liturgy (prayers and readings) and advice regarding music and environment. A complete planning guide, sample orders of service, musical suggestions and more help to simplify and streamline every aspect of preparing the liturgy. Paul Covino served, once again, as editor, while Elaine Rendler-McQueeney and John Buscemi contributed from their vast experience with music and environment respectively. The work of the late Lawrence Madden, SJ, was also drawn upon for the chapter on Scripture texts. A must-have for the Marriage Preparation Program in any parish, this popular book brings couples closer together as they prepare for married life, with the added benefit of a celebration that is festive and memorable for all involved. Jesuit Father †Lawrence J. Madden (1933–2011) was the founder of the Georgetown Center for Liturgy in Washington, D.C., and had been its director since it began in 1981. He had served as director of campus ministry and as a member of the theological faculty at Georgetown University. He was an adjunct professor of pastoral theology at the Washington Theological Union and the Catholic University of America, and served as an advisor to the Bishops' Committee on the Liturgy. A frequent speaker at conferences and parish programs, he wrote numerous articles and edited and co-authored several books on liturgy and American spirituality, including The Joseph Campbell Phenonmenon and Celebrating Marriage. He served as pastor of Holy Trinity Catholic Church from 1993 to 2000 and, within the Society of Jesus, served as religious superior for three communities. 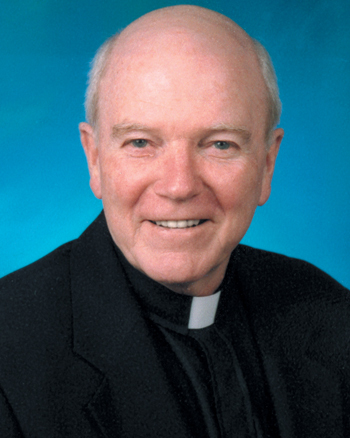 Father Madden was a member of the Studies in Jesuit Spirituality Seminar and the North American Academy of Liturgy, on whose governing committee he served. He earned a doctorate in theology and a diploma in liturgy from the University of Trier, in Germany.